The social and economic crisis in Venezuela may be worsening, but that’s all the more reason to celebrate the many great things about the country: its rich culture, fantastic food and the warmth of its people, to name but a few. On July 9th, the Venezuelan National Day will be marked with a fiesta at the Plaça Major at Poble Espanyol, highlighting this beautiful country’s heritage. 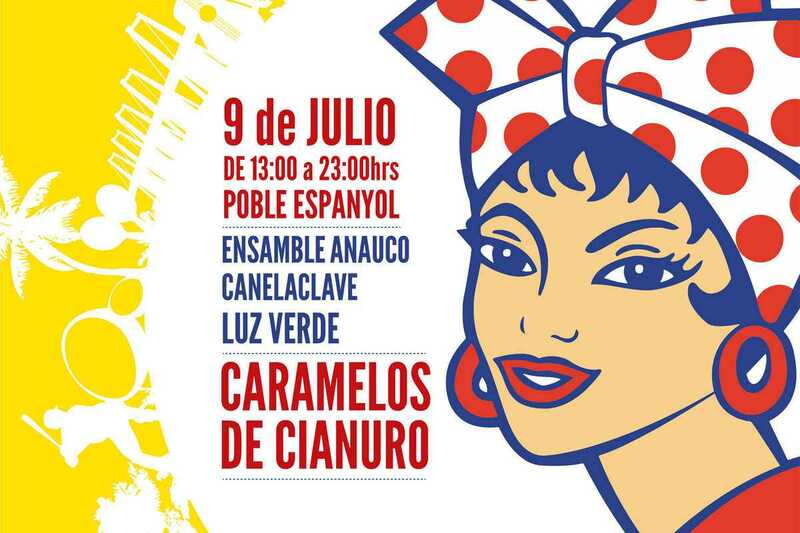 This year’s party – now in its ninth edition, and the largest in Catalunya – features a live music program including Venezuelan rock band Caramelos de Cianuro as headliners together with CaneLaClave, Ensamble Anauco and Luz Verde. For those who haven’t been to “la Tierra de Gracia,” be sure to visit the food trucks for a taste of Venezuelan cuisine, which combines indigenous, African and Spanish flavors – look out for the national dish, pabellón criollo.